To develop and deliver the BBC Children in Need funded community programme utilising growing and cooking skills for children and young people. To encourage healthy eating, outdoor activity and exercise beneficial to health. The following list is typical of the level of duties which the post holder will be expected to perform. It is not necessarily exhaustive & other duties of a similar type and level may be required as instructed by the Project Manager. To be responsible for the day to day delivery of BBC Children in Need funded project within an agreed budget including the over-seeing and all development, planning, risk/assessments, management of volunteers, delivery of project, monitoring and evaluation. 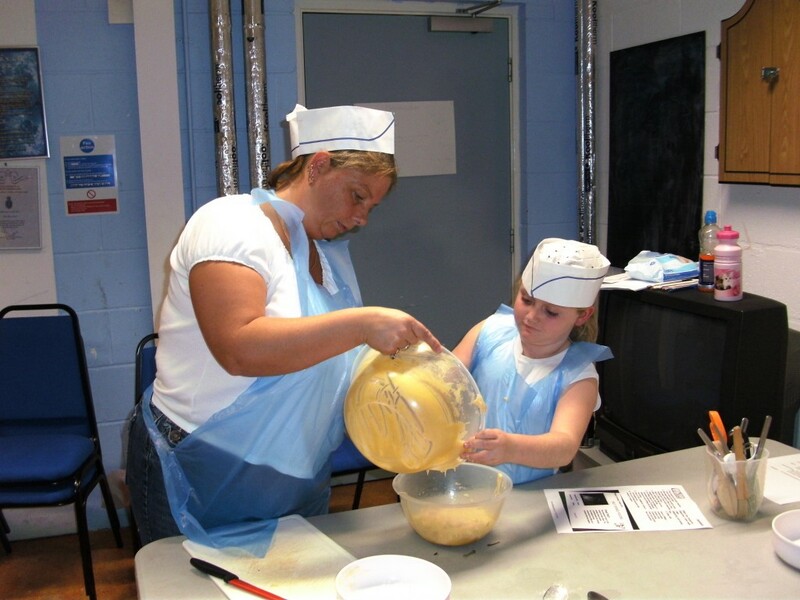 To deliver cooking sessions with young people and primary school age children up to age 18 years of age. To facilitate and appreciate the input of children and young people into the design, delivery and evaluation of the project. Ongoing recruitment, induction, support and retention of volunteers for the project. To implement, monitor and evaluate FCFP’s Safeguarding Policy and Procedures for this project, and be responsible for making volunteers aware of their obligations under the policy. To arrange Safeguarding training for volunteers, or additional staff if required for this project. To implement the organisation’s monitoring procedures and capture evidence to demonstrate impact. To represent FCFP on external bodies where appropriate & network with organisations/ agencies to further develop the work of the organisation. To develop, implement & review monitoring systems to demonstrate the performance of the organisation and to meet funders’ requirements. To prepare regular reports on the progress of this project as required and attend Trustee Meetings if/when required to do so. To ensure Health & Safety and Safeguarding of staff, volunteers and beneficiaries at all times. To participate in learning & development activities as appropriate. To manage and update FCFP Social Media accounts in line with relevant policies and procedures. Skills/ Knowledge/ Aptitudes Must be self-motivated able to work with minimal supervision and be able to prioritise own work load in order to achieve targets/objectives. Knowledge of Food Safety Legislation. Ability to clearly demonstrate ccoking/healthy eating skills to project beneficiaries. Knowledge of the issues of food poverty, food waste & diet. Knowledge of and experience in implementation of safeguarding requirements. Ability to deliver agreed targets /outputs in line with funding requirements and the agreed budget. Well organised with excellent administration skills. Excellent IT skills required. Able to produce high quality reports /case studies to demonstrate the impact of the project. Knowledge of Health & Safety at work. Networking skills, with the ability to network with a wide range of internal and external stakeholders. Knowledge of health, diet, environmental issues. Knowledge of data protection legislation. Ability to use Social Media to promote the project. Ability to manage/update websites Project budgeting skills. Ability to design and produce high quality promotional material to promote projects /events Knowledge/experience of working with other Third Sector Organisations in Northumberland Trained re manual lifting and handling. Additional Requirements Appointment will be subject to the successful applicant undertaking an Enhanced DBS Check. Willing to obtain a Level 3 Food Hygiene Certificate on appointment ( to be paid for by FCFP). Willing to undergo further training and development as required. Able to meet the travel requirements of the post. Able to work flexibly to meet the needs of the role including some evenings /weekends for which TOIL will be taken in line with the FCFP Staff Handbook. Willing to deliver projects/events outdoors as /when required.